India Post, is a government operated postal system in India. The postal service is under the Department of Posts, which is part of the Ministry of Communications and Information Technology of the Government of India. 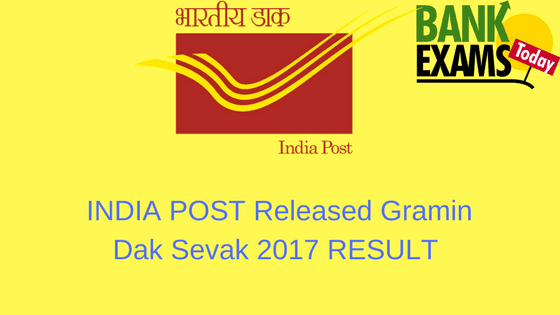 India Post released the Result Andhra Pradesh Region of Gramin Dak Sevak. Result of Odisha has released earlier.